The best-selling Built to Last answered the question of what it takes to build an enduring, great company from the ground up. Good To Great answers an even more compelling question: can a good company become a great one and, if so, how? Good To Great explores a whole new concept, backed by the rigorous research standards which gave Built to Last such an impact. Jim Collins is a student of companies - great ones, good ones, weak ones, failed ones - from young start-ups to venerable sesquicentenarians. The author of the national bestseller Good To Great and co-author of Built to Last, he serves as a teacher to leaders throughout the corporate and social sectors. His most recent book is Great by Choice, a look at why some companies thrive in uncertain times. His work has been featured in Fortune, Business Week, The Economist, USA Today, and Harvard Business Review. 9. From Good To Great to Built to Last -- how to take a company from great to enduring great. Appendices: Good To Great in: the New Economy; non-Profits; Government; Investors; outside the US. 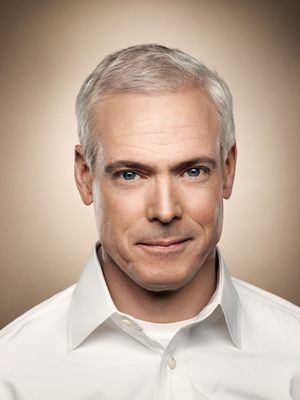 Jim Collins is author or coauthor of six books that have sold in total more than ten million copies worldwide, including the bestsellers Good to Great, Built to Last, and How the Mighty Fall. Jim began his research and teaching career on the faculty at Stanford Graduate School of Business, where he received the Distinguished Teaching Award in 1992. He now operates a management laboratory in Boulder, Colorado, where he conducts research, teaches, and consults with executives from the corporate and social sectors.